Elaine Hancock (Olney, United States) on 28 December 2017 in Architecture. We are back to the old barn that was converted to an antique store. De très belles textures et beaux reflets. wonderful image...tempting to visit this !!!! A wonderful study in old textures and character. Looks so homely and cozy! The window itself is would make a fine picture, but this one is even better with a view of what's inside. An excellent picture. This makes a great picture within a picture photograph!! It also gives depth to this composition. A well worn window in the excellent stone wall. This barn was made to last. Really enjoy captures of old peely things. Love the delicate shades and hues and textures. New stuff is boring. 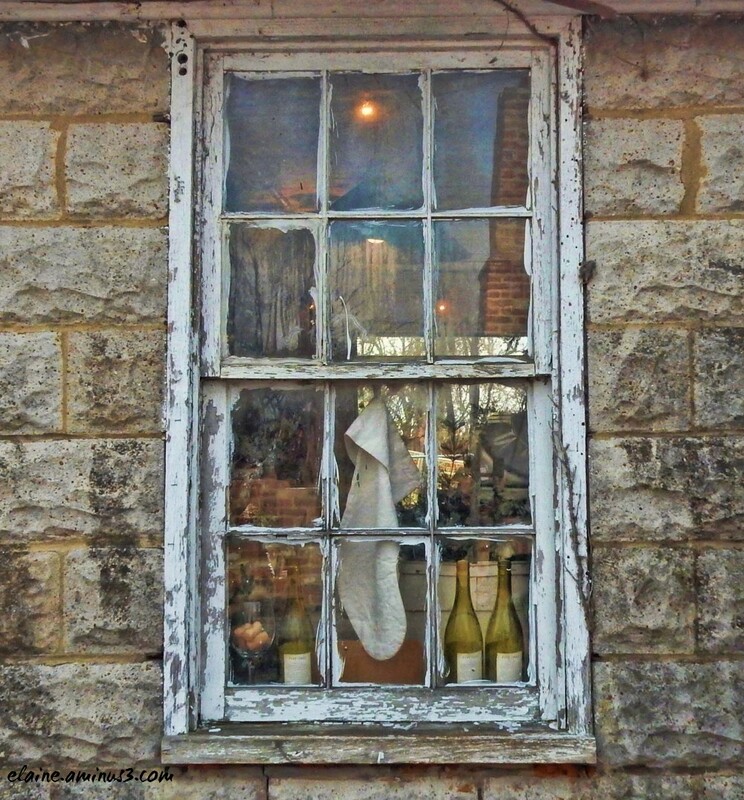 Charming old window and textures! Beautiful mood too! Nice. Did you get to go in for wine? I really like shots of old windows. Each one has a personality of it's own.